How to fix the “403 Forbidden Error” in WordPress? For those of you, who have experienced the “403 Forbidden Error" on your WordPress website would certainly know how frustrating it can get sometimes while one is denied access to one's own website. A lot of us would right away start panicking about it as we see this HTTP status error appearing on our screen. Technically, it’s caused due to an improper web server configuration and eventually, the server stops transferring scripts to your browser. However, it can get a bit difficult in figuring where exactly the error lies sometimes and it can certainly get you standing with your back against the wall. As a matter of fact, it can be fixed provided that you are able to comprehend the causes well and have the right approach towards fixing it. In this post, we shall explain how to fix the “403 Forbidden Error” in WordPress. It may occur while one is trying to log in to the WordPress login page. It may occur while one is moving a WordPress website from a local server to a production server if the files are not placed in the web host's root folder. Sometimes, it may occur during WordPress installation if the files are placed in an inappropriate location. It may happen while one is trying to visit a page on one’s WordPress website. Sometimes, it may also happen as one creates a new post or edit an old post. There can be many causes of “403 Forbidden Error.” However, in most cases, it’s caused due to poorly configured plugins especially security plugins and what it can actually do is block an IP address or a whole range of IP addresses taking it to be a threat. It can be due to improper configurations of other plugins as well. However, it isn’t really that easy to figure out right away the exact plugin that is causing this error. Another possible reason for the “403 Forbidden Error” can be a corrupt .htaccess file or incorrect file permissions. However, in case it is due to a corrupt .htaccess file, it can be easily replaced by a new one and in fact, it’s the quickest of all the fixes but if only you are lucky enough to have this as the cause. Sometimes, the server might go through some accidental changes from the hosting Companies end and nothing can be more unfortunate that this. In such a case, it will be only wise to have patience and wait until things get better again from the company. In case, you are facing any of these above-mentioned scenarios, there are actually ways by which you can fix it. However, it's always wise, to begin with creating a backup first. Server errors can cause severe damage to your website uptime which is why it’s always wise to create a backup of your website data. 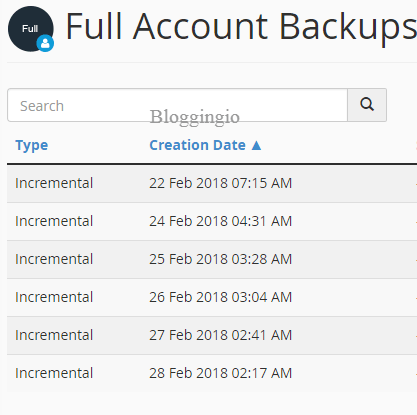 Just in case, your hosting provider has no option for website backup, you can try using various WordPress Backup plugins or Cpanel Backups. There are certain man-made or machine errors which leads to incorrect file permission thus causing "403 Forbidden Error" on your site. The popular hosting company, 000webhost.com wrote a detailed guide on How to fix 403 error caused by File permissions with screenshots and a detailed guide. If you're facing a similar issue, check out the guide and get back your site live. The corrupted .htaccess file can be one of the reasons behind "403 Forbidden Error." In case, you are getting this status code because of corrupted .htaccess, you certainly have a reason to rejoice as fixing corrupted .htaccess file isn’t really that difficult and it just takes about 5-10 minutes to fix it with the help of an FTP manager like FileZilla. Login to your server using FTP manager, locate the .htaccess file and download to the PC to keep things on the safer side. Now, delete the .htaccess file from the production server. Refresh your website and check if it still shows the “403 Forbidden Error.” If it doesn’t, well done and it means the .htaccess file was corrupt. Time to create a new .htaccess by logging to WordPress and navigating to Permalinks from settings. Then, go to the bottom and click on save changes and that way, you can have a new .htaccess file generated on your WordPress site. As explained earlier in this post, sometimes the "403 Forbidden Error" can be caused due to an improper or poor configuration. However, it's not at easy to right away find the plugin with the improper configuration which is why we can navigate to Plugins from the dashboard and then, look for installed plugins. If nothing is found, you can reactive them back again, one by one and may observe the changes once again as you refresh the website. “403 Forbidden Error” isn’t that scary as it apparently seems to be, right? What gets us panicked is actually the fact that we aren’t much familiar with the possible causes and fixes for it. However, with this guide, fixing it should only be a matter of a few minutes with nothing much to worry. However, it is always advisable to be extra careful while trying such fixes as one may lead to the other if you don’t handle it carefully and end up making some accidental changes. Most importantly, this will save you some good amount of money as now, you certainly wouldn’t have to ever call a professional to help you break out of the “403 Forbidden Error,” taking it to be an intimidating code. Download the .htaccess file from the server to the PC and delete it from the server. 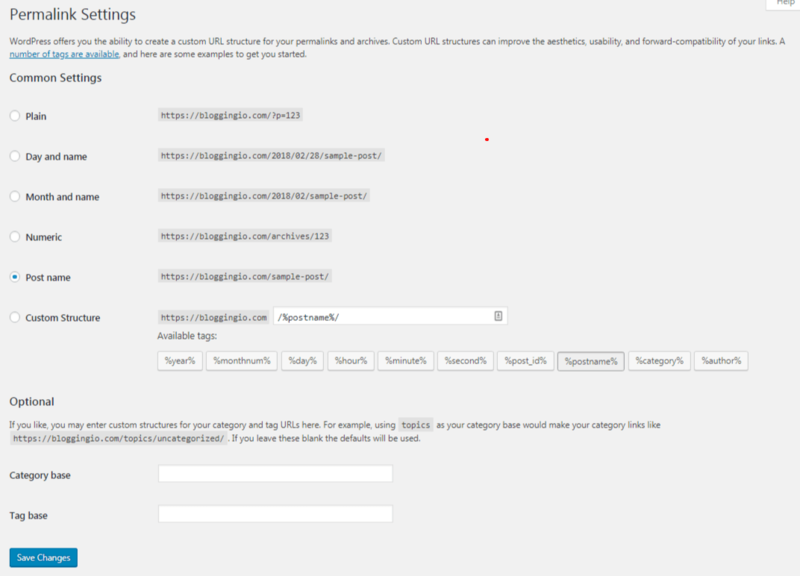 Create a new .htaccess file from WordPress permalinks. Deactivate all the installed plugins one by one and observe the effect on the website. Check if every file/directory (index.php included) is in the web host's root folder. Also, call up the customer support to know if the issue is from the hosting Companies end. In case, it is, then, it would be wise not to experiment further and wait until it’s fixed from their end. I hope that you found this post extremely useful and if ever, you find a way other than the ways discussed in this post, please, don’t hesitate to share it with us as this can help several other websites owners.